You are here: Home / Articles / Cabling / Kentucky Who Does Your Network Cabling? Network cabling site surveys isolate numerous variables that you may not be aware of and help minimize surprises during actual installation. Accurate site surveys can help you determine the feasibility of an instillation, budgetary constraints, and whether specialty tools or supplies are required. FREE PDF To Help You Choose the Right One! The most important design considerations. If you do nothing else, weigh these considerations carefully. Applications. Your system should support data, voice, video, and multimedia applications now and well into the future. You should anticipate applications involving VoIP, PoE, wireless, and security. Plan on a life span of 15–20 years, with 10 years as the minimum. Your cabling system should have the longest life cycle of any component in your network. Compare that to a network switch, which has an average life span of five years. Compatibility. Your system should be based on open standards and be able to support multiple applications regardless of the vendor. Modular, open standard systems enable easy changes and easy expansion without changing the cabling and equipment. Bandwidth. The demand for it just keeps growing. The more the better. Enough said. Growth. Anticipate how many users you’ll need to support 10, 15, or even 20 years down the road. See Bandwidth above. MACs (Moves, adds, and changes). Your network should facilitate and accommodate frequent changes. 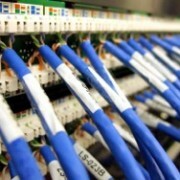 A structured cabling system that’s smartly designed takes careful planning. Systems are more complex now than ever, and will get even more so as speed and bandwidth demands increase. The system you plan today will be supporting new and different applications for many years. Take your time, review everything, and get ready for the future. For guaranteed-for-life products, expert advice, and complete installation services, call ISET.